I know what you’re thinking. Why would a real estate agent give homeowners (potential clients) advice on how to sell a house without a REALTOR®? Isn’t it my job to convince them that selling with an agent will net them more money and a quicker sale? Shouldn’t I be warning them of all the pitfalls of going it alone, and telling horror stories of for sale by owner (FSBO) transactions gone wrong? 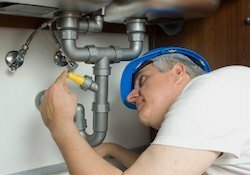 After all, how do I make money if homeowners are doing it themselves? Great questions, so let me explain. It’s a fact, some people just refuse to hire a real estate agent, and nothing I say will convince them otherwise. I’ve come to accept that, and I understand that it is just part of the business. Most of the time, these are folks looking to save the five to seven percent brokerage fee most agents in Georgia charge to facilitate the transaction. Others may not trust real estate agents… or maybe they’re just the do-it-yourself type. Whatever the case, I believe they should all have access to the proper resources that will give them the best chance of successfully selling their home. If they’re unsuccessful in doing it on their own, hopefully they’ll remember me when they do decide to hire a real estate agent. 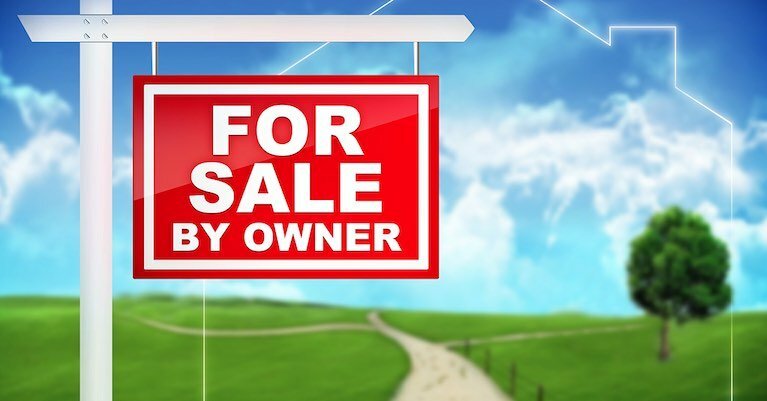 Anyway, let’s get started with the for sale by owner guide! Step 1 - Do Your Homework! 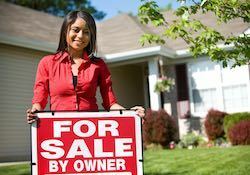 Once you’ve made the decision to sell your home yourself, you may be tempted to go ahead and pop your for sale sign in the front yard. DON’T DO IT YET! Unless you’re already quite familiar with the home selling process, know all the local customs & requirements, and have all your documentation in order, you should take time to thoroughly research what it takes to sell a home. Reading a FSBO book, such as the one pictured here, is a great start. Books like these are packed with for sale by owner tips that will help you avoid common mistakes. Keep in mind, there probably isn't a book that specifically focuses on the selling process here in Georgia, so the hypothetical scenarios mentioned in your reading may not play out the same in real life. I’d suggest researching and reading topics from local real estate blogs to give you a feel for what to expect when selling your home in Metro Atlanta and surrounding areas. You may or may not need to consult an attorney during the sale of your home, but it’s good to have the right one lined up just in case. There are literally hundreds of things that can go wrong during the course of a real estate transaction, some of which could cost you big money. With no agent or broker representing you, who will you turn to if things start to go south and you don’t know what to do? An experienced attorney can review contract documents, advise you on the best course of action, and protect you from buyers who attempt to take advantage of your lack of knowledge. Ready to find an attorney? 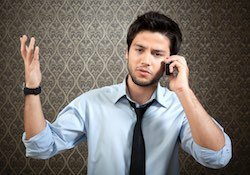 The Atlanta Bar Association has a local number you can call to speak with a referral expert. They’ll make recommendations to match you with the appropriate attorney for your needs. 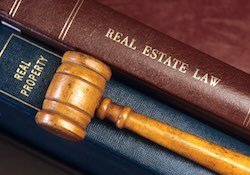 This is a great resource for finding a local lawyer that specializes in real estate sales, or the area of law you need help with. 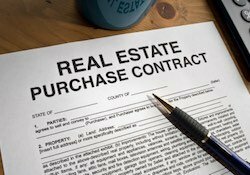 You should have all the disclosures, exhibits and contract documents you’re going to provide to potential buyers completed before your house hits the market. If you’re willing to work with buyers’ agents, they’ll likely have access to all the required paperwork, but it may be best to have your own copies for those buyers who are not represented by an agent. 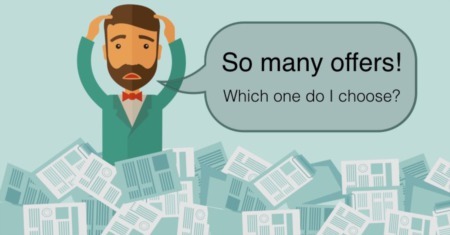 Take the time to review each form and familiarize yourself with how they’re worded. Make plenty of copies so each visitor to your home can take one if needed. Have your attorney review all the forms you plan to use to ensure your interests are protected. Before you start cleaning and organizing, you may want to consider making some upgrades to your house. 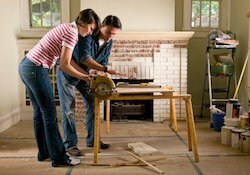 While not all renovations will allow you to recoup 100% of your investment, many provide a solid return on the time and money you put into them. 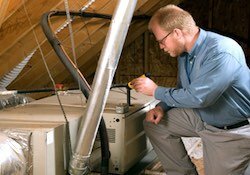 Things like replacing the roof, HVAC or deck could prevent a contract from falling through after an inspection, while simultaneously adding to the value of your home. Finishing a basement, adding a bathroom or remodeling a kitchen could increase marketability and greatly broaden the appeal of your home to potential buyers. You should evaluate other houses in the neighborhood to see what features your property might be lacking. Just make sure not to over-improve your home; this could price you out of the neighborhood. In a low-inventory seller’s market, many buyers are willing to pay a premium for a home that has already been beautifully renovated and is move-in ready, especially when everything else they see is the same crap that has been sitting on the market for months. In order to maximize your home’s appeal, take a step back and try to view your home from the perspective of a potential buyer. Is the home clean and does it smell good? Does the house appear to be well maintained, or is it obvious general maintenance items have been neglected? When is the last time you cleaned the gutters and pressure washed the driveway? Could the interior/exterior use a fresh coat of paint, and does the deck need to be re-stained? Are the rooms full of furniture and clutter, or does the house feel empty and cold? All great questions you should be asking yourself. Remember, your home has only one chance to make a first impression, so make it a great one! Need some staging tips? 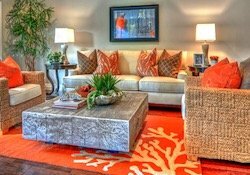 Check out the Metro Atlanta home staging guide for tons of great advice on how to effectively stage your home. Start off by taking some quality photos of your home, and consider shooting a video if you really want to make an impression! Most new cell phones have photo/video capabilities that should be sufficient, but if you want your home to stand out, you may need to hire a professional. Use your photos to create flyers for drive-by buyers, and pick up some for sale by owner yard signs & directional signs at your local hardware store. Go ahead and print out some sign-in sheets for visitors, along with copies of surveys, service agreements, comparable properties and a list of upgrades & renovations. Now is also a good time to purchase a combination lockbox and have spare keys made, unless you plan to be present for all showings. You’ve probably heard it before; that the price will be the biggest determining factor of whether your home sells, and how quickly it happens. The ability to accurately price a home takes experience and local market knowledge, something that can't be taught in a brief FSBO guide. But, I can give you some tools to get you started in the right direction! I’ve put together a list of resources below that you can use to help determine what your home should sell for. There are also other websites where you can search home sales in your area and receive a quick estimated value. But before you simply go with the price Zillow gives you, do a little reading on the accuracy of their Zestimate tool, it might make you think twice before relying too heavily on their data. That said, it is probably worth the investment to get an appraisal to determine the true value of your home before you actually list it. Keep in mind, many buyers will expect to get a great deal on the purchase of your home since they know you’re not paying a commission to an agent, so be well prepared to defend your asking price. CloudCMA - Instantly Receive Comparable Sales For Your Property. 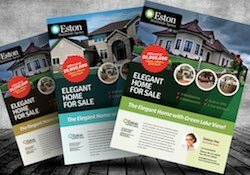 Home Value Report - Request Your 60+ Page Home Value Analysis. Zestimate - Find Out What Zillow Estimates Your Home Is Worth. As a for sale by owner seller, your marketing and advertising efforts are very important. How effectively you advertise will determine how many potential buyers see your home, which greatly impacts your chances of finding the right buyer. Maximizing the exposure of your property is critical, especially since your home won't be listed on the MLS (unless working with a flat fee broker, etc.). Use all the tools at your disposal, including: email, social media, yard signs, promotional flyers, websites, postcard mailers, local newspaper/newsletter ads, social groups, bulletin boards and anything else you think potential buyers might use to find your home. Don’t forget to tap into your personal network and let all your friends know you’re selling your home, you might be surprised how effective word of mouth can be. Regardless of how you choose to advertise, remember to adhere to fair housing regulations. FSBO sellers are not exempt, so you must adhere to fair housing laws. Failing to do so could cost you big time. Hopefully your marketing pays off and you’ve got calls, texts and emails from potential buyers coming in like crazy. Before you let the showings begin, remove or lock up any valuables, such as jewelry, small electronics and money. Regardless of how you decide to conduct showings, always place your safety first. Letting strangers into your home can be a risky proposition, so take precaution when setting up showings. If an agent makes an appointment to show your home, you can look them up in the statewide database to verify their license and brokerage. Get a copy of everyone’s ID who plans to enter your home, and never let in visitors who show up unannounced. Having each visitor sign in will allow you to follow up with them after the showing to get feedback and urge them to submit an offer. When selling your home by owner, scheduling and coordinating showing appointments can be a challenge. Luckily, one of the most effective ways to get tons of buyers into your home without having to arrange showings individually, is to hold an open house. The first weekend after your property hits the market is a definite, either Saturday afternoon, Sunday afternoon, or both! You should put out plenty of your FSBO open house directional signs on street corners throughout the neighborhood leading up to the event. Attaching balloons to the signs on the day of the event is a great way to draw extra attention to your open house. Whether or not you decide to serve snacks and refreshments is up to you, but it sure doesn't hurt. Fresh baked cookies? Uh, yeah, who is going to turn that down? Whatever it takes to give potential buyers a warm feeling in their stomach, even if it is just the cookies. If you’ve done everything right up to this point, it’s possible you’ll be receiving an offer, or even better, multiple offers. Remember to take all terms of the offer into consideration, and don’t get offended if the buyer throws a lowball number at you. If you’ve done your homework and know all the comparable sales like the back of your hand, you’ll be able to defend your asking price. Negotiating the sale of your own property can be tough, just try not to take criticisms of your home personally. If you can maintain a business-like approach during negotiations and leave emotions out of it, you’re much more likely to have success with finalizing a contract on your home. Once you’ve secured a buyer and have a binding agreement, the due-diligence period begins (if one was negotiated by the buyer). During this time, the buyer may schedule multiple inspections of your home, including a: general property inspection, termite inspection, lead based paint test, mold testing, survey, Radon testing and more. Once all the testing has been completed, the buyer may request repairs be made, based on the results of the inspections. You should get a chance to review the inspection reports along with the requested repairs. You’ll need to negotiate with the buyer on which repairs will be made, and which ones won’t. Just remember, if you can’t come to an agreement, the buyer could walk away from the deal all together.? If the buyer is paying cash for your home and there are no contingencies, go ahead and go to step 13. Otherwise, if you’re dealing with a buyer that is seeking traditional financing, you’ll most likely be dealing with a property appraisal and financing contingencies. 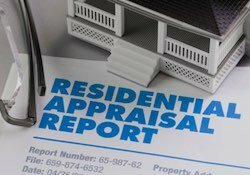 The appraisal is designed to protect the buyer’s lender (or eventual mortgage holder) by ensuring the property has sufficient value in the event of a default. All you really need to worry about is whether your home’s appraised value meets or exceeds the contract price. In addition, the lender will be evaluating the buyer’s ability to qualify for financing during this time. If the lender determines the buyer cannot qualify for the loan during the financing contingency period, the buyer may have grounds for terminating the contract, and may be able to walk away without any repercussions, such as losing their earnest money. You should keep in close contact with the buyer’s lender during this time, and make sure the appraiser has everything they need for a favorable appraisal. If you agreed to make any repairs during due diligence, you’ll need to have those completed prior to closing. If you need to hire contractors to do the work, it’s best to schedule them well in advance. This will help you avoid running into any last minute issues, something that could delay the closing. Getting started early on the repairs may also allow you to get multiple quotes from contractors and select the most affordable company to work with. You may hold off on scheduling the work to be completed until after all the contingency periods have passed, just in case the deal falls through. Also, remember to keep invoices from any contractors you hire to do the work. The buyer will probably want to see them before closing, just to prove all the work was done and paid in full. You’ll also want to contact all utility providers and terminate the service, or have it switched over into the buyer’s name as of the closing date. Once everything has been completed and you’ve been given the clear to close by the attorney, it’s time to finalize the deal. Closings in Georgia are performed by a real estate attorney. At the closing is where the buyer pays the seller for the property, and the seller transfers title to the property over to the new owner. Luckily for you, the seller’s job at closing is much easier than the buyer’s. Just remember to bring photo ID, any documentation requested by the closing attorney or lender, and all keys to the property (unless you’ve negotiated to remain in the property temporarily). Most closings take less than an hour when everything goes right. When moving out, be careful not to damage anything, and remember to leave any personal property that was negotiated in the contract (IE: washer, dryer, refrigerator, window treatments, etc.). Sound Like Too Much For You To Handle? We Can Help! Thanks for the helpful tips on selling a home! My wife and I want to move soon, so we appreciate it. I like your point about getting the house inspected and repaired first. This would definitely show potential buyers that we care, so we'll be sure to do this. Quite a comprehensive article. 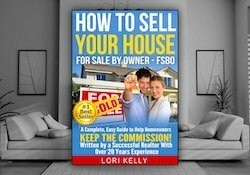 As long as the pricing is accurate, the buyer's agent commission is competitive, the property is listed on the right MLS and websites and the house is showcased well, Flat Fee FSBO can make selling your property very easy. Plus some platforms even gather your disclosures for you, provide a pricing estimate based on public data for your location, get your property on the right MLS and get you access to services like professional photographer (instead of searching separately for those) plus many more services. 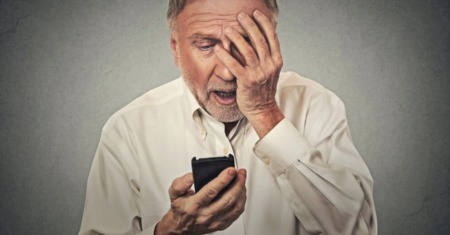 Overall, FSBO is not as tough as it's made out to be. Great work on compiling the steps to take!